After having been denied twice by the Makati City Regional Trial Court Branch 148 of its bid to arrest Sen. Antonio Trillanes IV, the Department of Justice is not about to give up and is working to accuse Judge Andres Soriano of “grave abuse of discretion” to invalidate the court’s decisions. Justice Sec. 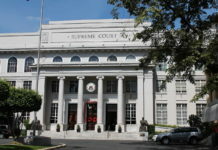 Menardo Guevarra said he asked Solicitor Gen. Jose Calida to file a formal petition for certiorari with either the Court of Appeals or Supreme Court declaring that the Makati RTC judge acted in excess or lack of jurisdiction vis-à-vis the Trillanes case. This in effect would render the court ruling on Trillanes null and void. 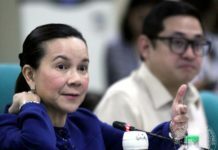 The administration seemed so determined to pin down Trillanes at any cost that President Duterte revealed an on-going investigation into the alleged Philippine Navy deals of the parents of the feisty senator. Duterte accuses Trillanes’ mother of being a supplier for the Navy, which the President claimed was a clear case of conflict of interest due to the Senator’s prior status as a Navy officer. “We are looking into the papers. We’re investigating quietly ‘yung mga deals sa panahon ng tatay pati nanay niya,” Duterte said in a speech in Davao City. “You can be very sure na lalabas lahat ‘yan,” he warned. Trillanes denied Duterte’s allegations, noting that the President only mentioned his parents since he “cannot throw anything else” against him. The opposition senator lamented how his 84-year-old mother, suffering from Parkinson’s disease, was even dragged by Duterte into their political squabble. Guevarra, for his part, said he will have to discuss the next legal move with Calida. “As I said a few days ago, a petition for certiorari (grave abuse of discretion in issuing an interlocutory order) is not the only option available to the DoJ,” he said. Should it decide to file a petition for certiorari, the DoJ through the OSG has 60 days from notice while it only has 15 days to submit the necessary pleading for ordinary appeal and petition for review on certiorari. In his earlier decision, Soriano cited the doctrine of immutability of judgment in rejecting the DoJ’s motion for the issuance of a hold departure order and alias warrant of arrest against Trillanes for the crime of coup d’état. Under the doctrine, a decision that has acquired finality becomes immutable and unalterable, and may no longer be modified in any respect, even if the modification is meant to correct erroneous conclusions of fact and law, and whether it be made by the court that rendered it or by the Highest Court of the land. 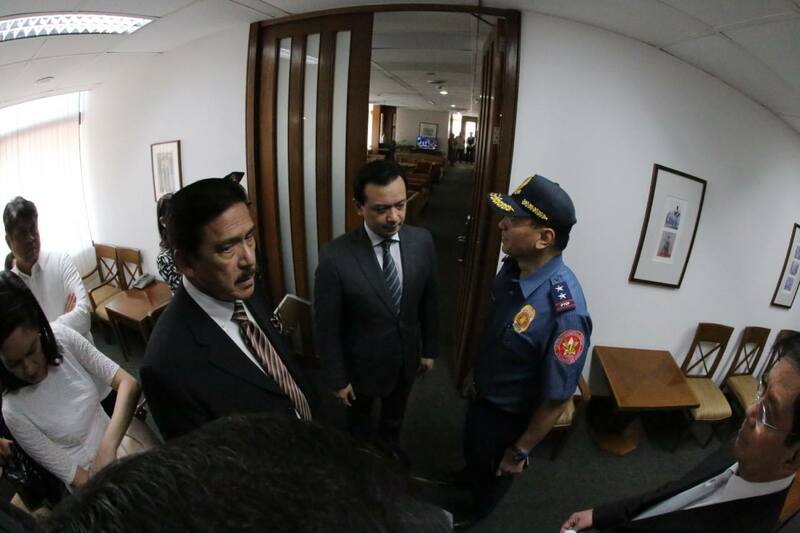 Trillanes’ lawyer Rey Robles noted the Judge did not allow the re-opening of the case against Trillanes and ruled that the Senator “did file his amnesty application in the proscribed form, and that he admitted guilt” for participating in the Oakwood Mutiny. “Hindi puwedeng buksan ang kaso na matagal nang dismissed. ‘Yun ang naging ruling ng korte,” he told reporters.